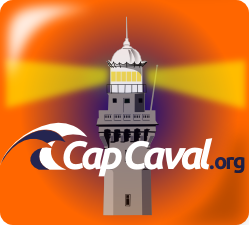 Pour lancer une nouvelle activité de type présentation courte avant les conférences du FinistJUG, j’ai présenté, la semaine dernière, C³ devant une cinquantaine de personnes. D’une manière très synthétique, en quelques minutes, l’abstraction de type composant a été introduite ainsi que ses principales caractéristiques. Cliquez ici pour télécharger la présentation. 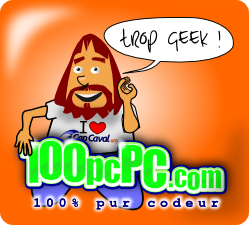 Si vous êtes convaincu de l’importance de l’architecture logicielle et attiré par une approche en composant simple et efficace, comme utilisateur ou comme acteur n’hésitez pas à me contacter. C³ is a Java library providing a component abstraction capacity, as its main feature. The use of components and a component model is highly recommended to structure your software. Before defining your software’s component structure, you need to define what the users of your application will be able to do and how they will be able to do it. 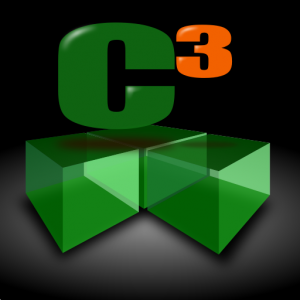 In order to enable this definition, C³ provides an Application class, whose presentation and description is the subject of this article. An application can be seen as a black box, created by a “coder” and used by a “user”. Their needs are different. 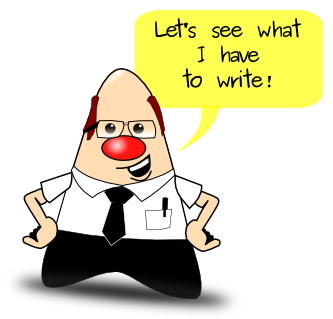 The coder wants to write the simplest program that renders the requested functions. The user wants to be able to configure the application easily and to have access to a decent documentation. 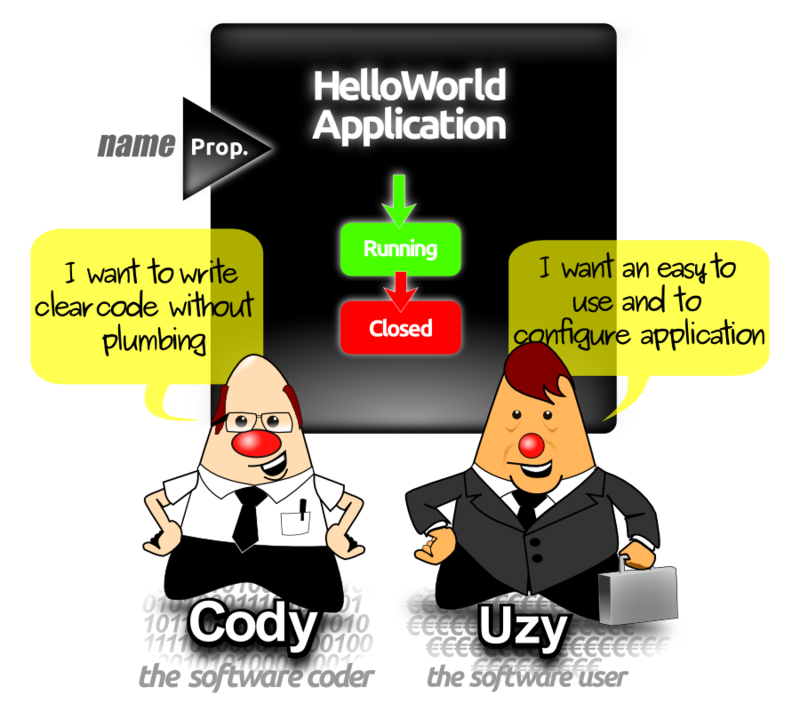 A very simple example is used throughout this article, the famous “HelloWorld” application, whose functionality is simply to perform greetings. 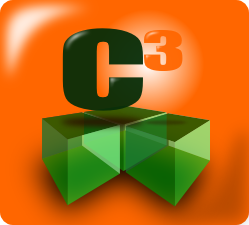 Let us see together what C³ might provide for such an application. – application property : the application shall be configurable by the software user with Java properties (other configuration type might be added in future version). The annotation called @AppProperty handles simply this functionality in a declarative manner and C³ does the plumbing for you. – generic help with auto-documented mechanism : no plumbing code needs to be added to display the application name, the “about” information and the properties. C³ discovers automatically all the application features and displays them, when the software user adds the “-help” parameter to its software launch command. C³ provides an application annotation mechanism in which the version can be set and an “about” text added. 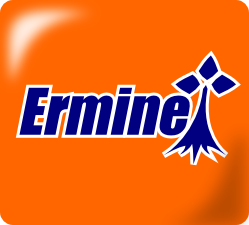 This information will be accessible to the software user. 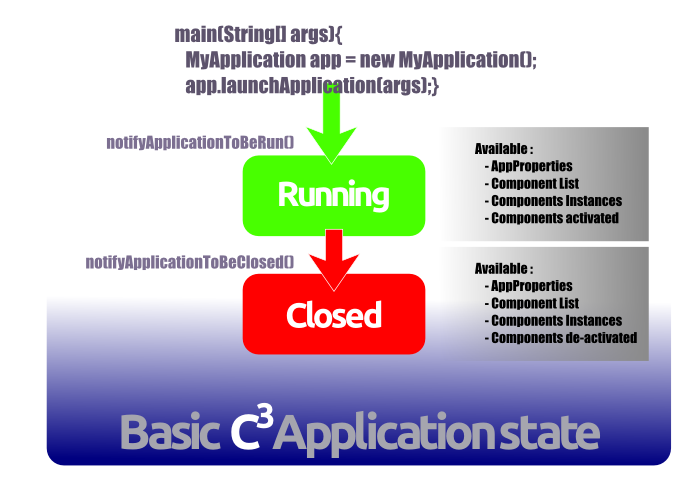 For our simple example, C³ provides an application state-machine with only two states: “Running” and “Closed”. Just before reaching one of the two states, C³ will notify you with the corresponding event: notifyApplicationToBeRun or notifyApplicationToBeClosed. The first event is called when all AppProperties are ready, and when the components are created. A future paper will focus on components. 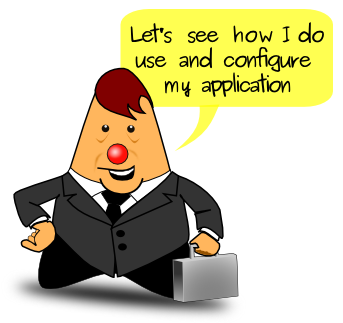 Basically, this event has to be used to configure and to start your application. The second event is called when the application is stopped. C³ detects, for you, that your application is closing and notifies this. The Event can be used to properly close resources such as a socket, a database, a file, etc. Java language provides system property that can be set either on Java command line with “-D” prefix or by loading a property file. A property is a key/value pair, where each value is accessed through the associated key. The above piece of code can be read as: this is a property called “name” and its default value is “world”. Automatically the “name” system property is available to configure your application. 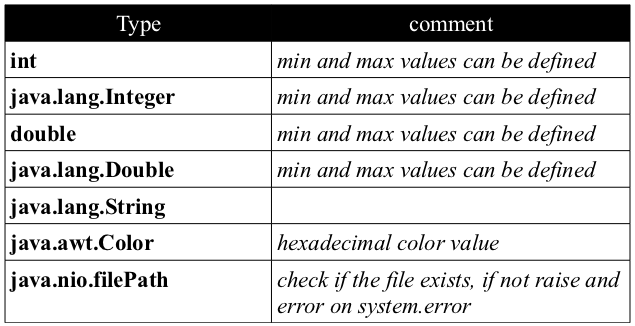 Extra types can be easily added by implementing the generic interface ObjectFactoryFromStringValue which shall return the defined generic type from a string. 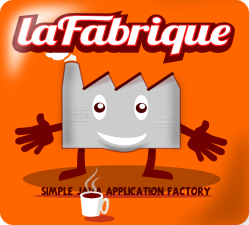 When the factory is written just add it with the following method at your application creation. the list of properties, with their types. comment : Application which salute anyone. you can also download the pdf version, here. Thanks to Laurent, Yannick and Olivier for their review.